If you’re going to succeed in anything, if you’re going to take your life to another level and make a real breakthrough, then you need strategies. Whether it is in your relationship, your career, your health, your finances, your happiness – you need to know how to make the shift. Tony Robbins has spent the majority of his life looking for the strategies that bring the quickest results, in the shortest amount of time with the most enjoyment and the least amount of pain. And one of the most powerful strategies he has discovered is modeling. Success leaves clues. If someone is consistently successful, they aren’t just lucky, they have a strategy that works. And if you study them, you can figure out what it is, and you can learn and adopt their patterns and save yourself decades of trial and error. This modeling strategy is so powerful, that it has become the lifeblood of some of the most accomplished people in the world, including Tim Ferriss. Tim has been listed as one of Fast Company’s “Most Innovative Business People,” one of Forbes’ “Names You Need to Know,” and one of Fortune’s “40 under 40.” He is an early-stage technology investor and advisor (including Uber, Facebook, Shopify, Duolingo, Alibaba), and the author of three #1 New York Times and Wall Street Journal bestsellers: The 4-Hour Workweek, The 4-Hour Body and The 4-Hour Chef. His podcast, The Tim Ferriss Show, has exceeded 100 million downloads and was selected for “Best of iTunes in 2015” and helped set the stage for his latest book, Tools of Titans: The Tactics, Routines, and Habits of Billionaires, Icons and World-Class Performers. Tools of Titans contains the “distilled tools, tactics and ‘inside baseball’ you won’t find anywhere else. It also includes new tips from past guests, and life lessons from new ‘guests’ you haven’t met” – from their morning/evening rituals, daily habits and workout regimens to their core beliefs, values and perspectives. Yet Tim doesn’t merely relay the information, he has taken it, vetted, explored and experimented with it in various situations to yield this 600+ page tome full of high-leverage tools that could completely change your life. In this episode of the Tony Robbins Podcast, Tony sits down with Tim Ferriss to discuss the evolution of this book and what Tim has discovered about himself during the process. They delve into the power of good questions, building on your strengths and shedding your limiting beliefs. They examine pattern recognition, internal synthesis, and what it means to cultivate happiness. They explore some of the greatest tips, tools and tactics Tim has learned from people like Peter Thiel, Chris Sacca and Peter Diamandis. And they have a candid discussion about coping with the darker periods of life, and how Tim’s perspective on his life’s mission has changed over the years. Where do you go from failure? The most successful people in the world have recorded massive failures, and for many of them, failure was the greatest influence in their ascent to greatness. Why? Step 1: Make the decision. We all have the power to choose. We can’t control events, but we can choose what to focus on, we can choose what those events mean, and we can choose what to do now. These three decisions control our lives. So it is not the conditions of our lives, but rather the decisions that determine our destiny. In this episode of the Tony Robbins Podcast, hosts Tony and Mary B. shift the focus to being true, bouncing back, and being all of who you are. They speak to friend and hero, Siri Lindley. The former 2-time ITU World Champion who just this year was inducted to the USA Triathlon Hall of Fame. She is a Brown University graduate. Siri has coached a number of Olympic and Ironman athletes to championships, including Miranda Carfare but why we really wanted to have Siri on the podcast was for the chance to listen to her unique life experiences. In this episode, Siri opens up about fear, suffering, training, triathlons, coaching, recruiting, Neighbors, and love. She explains to Tony and Mary B. how these life challenges ultimately became her greatest gifts. Listen to the podcast and get the message: Be true. Be you. Be brave. Be relentless. Love is love. In this episode of the Tony Robbins Podcast, you will hear from Charles Duhigg – pulitzer-prize winning reporter for The New York Times, and author of the NYT best-selling book The Power of Habit and the recently released, Smarter Better Faster – as he discusses how harnessing the power of habits can transform our businesses, our communities and our lives. How do you capture the limited attention of your clients through marketing when they are constantly being bombarded with advertising? How do you compete with corporations that have seemingly unlimited resources? Through world-class marketing. World-class marketing comes from creating a unique selling proposition we call value-added marketing. You’re literally adding value to your customer’s lives. You do something. You teach them something. You give them something valuable that costs them nothing then they look to you as the expert, and want you to supply them with more information, more experience, more products. – author of The CMO’s Periodic Table: A Renegade’s Guide to Marketing, and Founder and CEO of the NYC-based social media and marketing agency Renegade – as he discusses how businesses can create value-added marketing and use that to connect and engage with their customers on a new level. Did you know that 96% of all businesses fail over a ten-year period? Why is that? And what separates those that succeed? Whether you’re a small business just starting out or a multi-billion dollar corporation, there are principles and strategies that you must understand and master. And it is these 7 Forces of Business Mastery that will give you the skills and tactics you need not only to survive, but to thrive – in any environment. 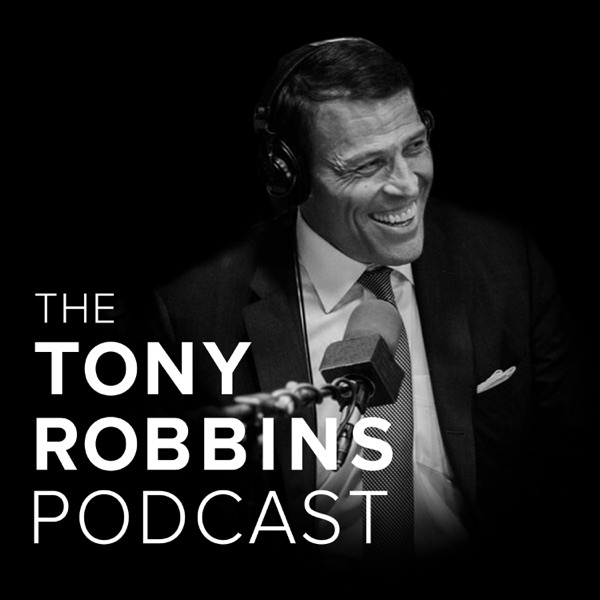 In this episode of the Tony Robbins Podcast, you will hear from Tom Bilyeu – CEO of Quest Nutrition – as he discusses how the 7 Forces of Business Mastery helped him take his business from a vision to one of the fastest-growing companies in the world. And how these principles, which are so deeply embedded in his business, have helped Quest stay at the top of their game. In this episode of the Tony Robbins Podcast, you will be hear from Renée Mauborgne – professor at INSEAD and co-director of the INSEAD Blue Ocean Strategy Institute, and author of the best-selling book, Blue Ocean Strategy, which has sold over 3.5 million copies across 5 continents and was recently updated and expanded in 2015 – as she discusses how any business can break away from the competition, build a strong brand, and get the world of social media to start talking. Tony Robbins discusses how to make strategic innovation part of your company culture so that you are constantly improving your processes, products or services in a way that creates real value. If you want to be a leader in your industry, you must be constantly looking for ways to create something more, new or better than what currently exists. Because consumers are no longer impressed with a new feature or service for very long — they expect a constant evolution of improvement or they will go elsewhere. And it doesn’t stop there. If all you do is innovate, you’re going to be out of business. You have to figure out a way to innovate in a way that’s profitable and in a way that the customer will care enough to pay for the innovation — that’s what Tony Robbins calls strategic innovation. In this episode of the Tony Robbins Podcast, Tony will help you understand how you can find a way to meet your client’s needs better than anybody else. He will show you how to make strategic innovation part of your company culture so that you are constantly improving your processes, products or services in a way that creates real value.